There’s a road near me I especially like, not necessarily for its narrow lanes and twisty, windy curves but because trees surround and shade it so well. A well-shaded street seems like a rarity here, and so on especially hot days, this road offers respite from relentless sun beating down on me as I drive. There’s also a magic quality in tree-lined roads, too, and I’ve discovered what makes this one even magical in a unique way. Someone (I picture an aging hippie) has nailed signs to a few of the trees encouraging us and reminding us all to be better people. These signs cheer me, make me think long after I’ve driven past, and—whether intentional or not—promote some great theology. I’m a woman who likes lists. I like to write out to-do lists, often because I’ll forget something if I don’t but also because I like the sense of accomplishment from checking items off a list. This fruits-of-the-Holy-Spirit list, though, more often than not leaves me with a definite feeling of inadequacy. Quite the opposite from any smug sense of completion, my mind and my heart feel pierced. The list convicts and reminds me that I still have a lot of work to do in my walk with God and my shared journey with those around me. I can also see a cost in each fruit’s opposites: emotional, relational, physical and even monetary costs. I may be light-hearted about the donuts, but I’m lacking in other fruits of the Spirit that are less laughable. On particularly rough days, I may lack every free fruit on that list. I am not proud of such days. Do you have days like this? Verse 23 ends with another reassurance of how free these fruits are. Not only do they cost us nothing, no law exists to stop us from practicing any of them. 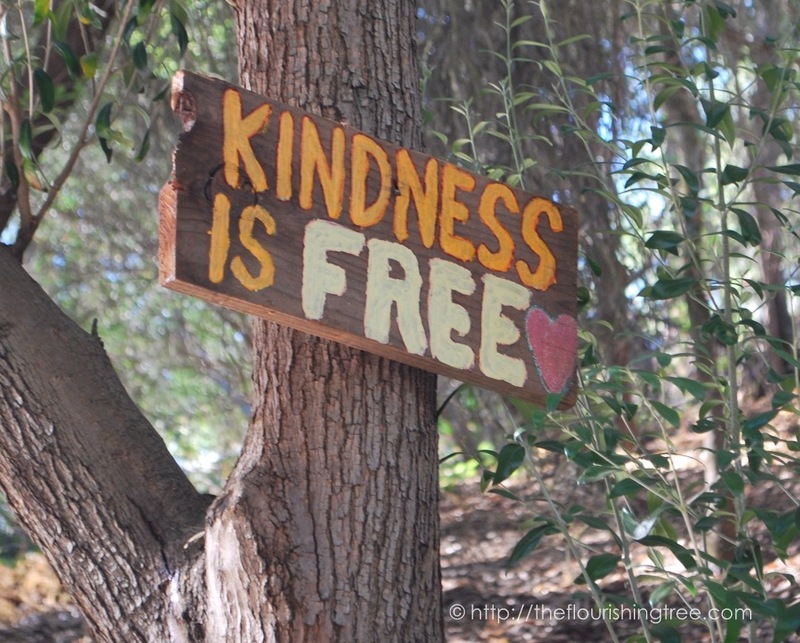 The tree sign is right: Kindness is free. Truly, really, completely free. And freeing, too. I’m going to challenge myself to find ways to practice each of these more, to develop them as first-response habits. I’ll need God’s help—and some accountability from loved ones—to achieve this. How about you? Will you work on cultivating these fruits? Which ones are more of a challenge to you? 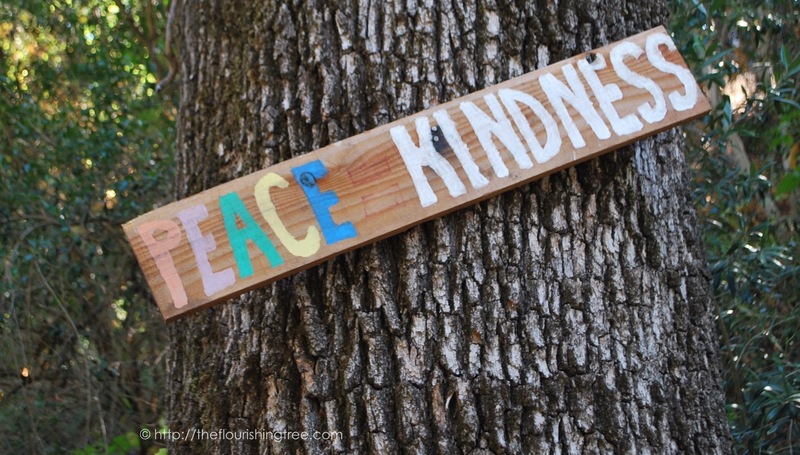 What steps—big or small— can you take to be freer with kindness and the other fruits? I hope you’ll share your challenges and successes in the comments below. And I look forward to sharing another sign with you next week.